Belle Plaine Motorsports is currently seeking a Motorcycle Mechanic. Looking for an entry level motorcycle mechanic to assemble and preform pre delivery inspections on new units, along with perform maintenance such as oil and tires changes. Experience in the motorsports industry or other related fields preferred but not required. This is a seasonal full time position while the potential for part time work over the winter. Position available immediately. At Coborn’s, Inc. we go all out to “ Be Remarkable .” Our culture celebrates employee ideas and encourages creative innovations. We’re growing, learning, and overflowing with energy. In a dynamic atmosphere that welcomes diversity, we are investing in our employees, along with the growth of our company. Join our grocery teams and connect with guests in a fast-paced retail position with advancement opportunities where you are encouraged to shine as you use your guest service skills. If you're friendly and dependable and you like to work with terrific guests, we'd love to talk about an opportunity on our team. Coborn's, Inc. is a fast-growing employee-owned grocery retailer located the Midwest . Our grocery store formats include Coborn's, Cash Wise, Marketplace Foods, and Save-A-Lot stores and we offer unique online grocery home delivery services through our CobornsDelivers and Cash Wise Delivers locations. Coborn's Inc. also owns and operates liquor stores under the Coborn's Liquor, Cash Wise Liquor, Payless Liquor, and Captain Jack's brands. Additionally, our fuel and convenience division, in-house grocery warehouse and distribution center, in-house Central Bakery, and Tops Cleaners are significant assets to our operations. We also have a handful of other retail entities in the markets where the fit is right: Little Dukes, Holiday Stationstores, Ace Hardware, Caribou Coffee, Dunn Bros Coffee, and Subway. Our remarkable employees strive to inspire happiness, healthy living and simplicity one guest at a time. With a vibrant and fun work environment, ongoing opportunities for career growth, and generous benefits packages , Coborn's offers a bright future for all employee owners. Here’s a list of some of the many benefits that we offer: Health, Dental, Life and Disability Insurance Vacation Pay Holiday and Sunday Premium Pay Flex Spending Accounts (FSA) Employee Stock Ownership Plan (ESOP) 401(k) plans Voluntary Benefits Tuition Reimbursement Because we value our people and know our employees enjoy shopping our stores, we offer an employee discount on a variety of private brand items when employees use their MORE Rewards account at checkout. Because we know everyone needs a coffee break to recharge from time to time, employees who work in a store with a coffee shop receive a discount on their purchase! In addition to this list, we also offer flexible scheduling . We understand that many of our employees are trying to juggle school, practice, family time, errands and personal hobbies, all with only about 16 hours of “awake time” in a day. We celebrate a culture of recognition , encouraging employees to recognize and thank one another for remarkable behavior. We even have an app for that! We’re always looking for motivated, high-potential employees who want to be part of our next generation of leaders! There are opportunities to grow within our company to positions you may not yet even know exist. Coborn’s, Inc. offers a variety of development programs for employees who want to grow their careers with us. As an employee of Coborn's, Inc., the Deli Merchandiser provides a high level of customer service and ensures safe food handling practices are maintained and adhered to. Duties include preparing food according to customer's order, slicing, weighing customer's purchase, sorting & putting away incoming product, and cleaning and sanitizing the deli room. Will work various shifts between 7am-2pm including rotating weekends. Finally, we believe that building a team of people with different backgrounds, beliefs, experiences and perspectives inspires fresh thinking and opens us up to new possibilities. We are an EEO/AA Employer - All qualified individuals, including minorities, females, veterans and individuals with disabilities are encouraged to apply. CNA Nursing Assistant - Intermittent Positions - NEW!! Our care community is searching for Certificated Nursing Assistant (CNA) to join our team of dedicated caregivers. We’re looking for a caring, compassionate, experienced professional who loves taking care of people. We’re looking for an individual who truly cares about making our community the best home possible for our residents. Flexible scheduling options: NEW!! - Also offering Intermittent positions. Work a scheduled 32-48 hours per month - only one weekend shift per month. Flexible scheduling to suit your availability ALSO OFFERING: Part-time and full-time shifts available. Choose between 4, 6, 8, 10 or 12 hour shift options Day, evening & overnight shifts available No weekends required on limited evening and overnight shifts (must work a minimum of 32 hrs/week for this option) Responsibilities and duties: Bathing and dressing residents as needed Assisting with personal and dental hygiene Providing rehabilitative/short term/long term care Assisting with lifting/positioning/transferring residents into and out of beds, chairs, wheelchairs, lifts, etc. Assisting with meals Qualifications and skills: Valid CNA license Excellent communication skills Good team player Additional Information Our team members benefit from …. PTO for Part-time and full-time employees 401k with company match Full benefits including medical, dental & vision insurance (Medical insurance offered to full-time team members only (30 or more hours per week) Life insurance & disability insurance for team members scheduled 20 or more hours per week SIGN-ON BONUS for Certified Nursing Assistants: $1,500 + receive additional PTO on top of your regular PTO accrual! You need to commit to a schedule of at least every other weekend to qualify. 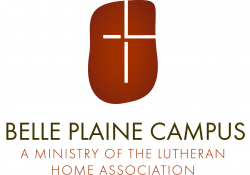 The Lutheran Home: Belle Plaine is a 97-bed skilled nursing facility that comprises of a Transitional Care Unit (TCU), Long-Term Care (LTC) and memory care. If you have questions or need additional information, contact Jodi at (952) 873-2164 or jafoster@tlha.org . EOE/AA/Min/F/Vet/Disability *Thinking about becoming a CNA? The Lutheran Home is now accepting applications for our Certified Nursing Assistant class! Enrollment will be accepted on a first-come, first-serve basis. The fee for the class is $750, which includes the cost for the class and materials. Testing costs not included. Class and test costs are reimbursed within the first three months of employment, if hired in a skilled nursing facility (if first CNA job) More information here. LPN or RN - Intermittent Positions - NEW! !